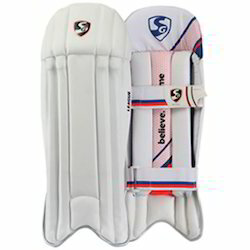 Our product range includes a wide range of ss professional cricket wicket keeping pads, ss player series cricket wicket keeping pads, ss aerolite cricket wicket keeping pads, ss flexi pro cricket wicket keeping pads, sg cricket wicket keeping pads league and sg nylite cricket wicket keeping pads. 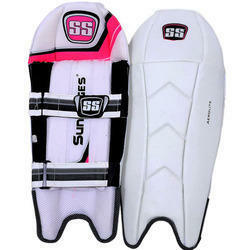 Clients can avail from us quality SS Professional Cricket Wicket Keeping Pads. 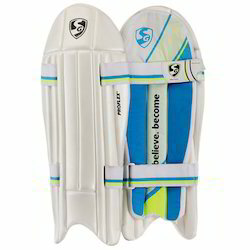 A good pair of leg guards is as important to a wicketkeeper as a good pair of wicket keeping gloves. A wicketkeeper has to be athletic. If he isn't, he can't expect to be a success keeping wickets. Besides his hands, a wicketkeeper also uses his legs to deal with runaway balls. 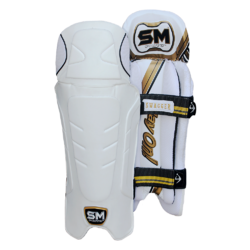 Our valued clients can avail of a supreme range of SS Player Series Cricket Wicket Keeping Pads that is designed for assured safety and are super lightweight with 7 cane ribs with horizontal bolsters and Velcro straps. 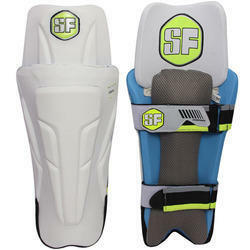 These are made from the finest grades of PU and reinforced with fiber. 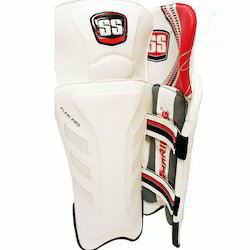 We use the best grades of fabric and foam to manufacture these by using high-end technologies. These are made under rigid standards of quality in accordance with well-defined industry norms. Our esteemed patrons can avail these at very reasonable rates. 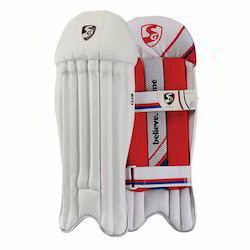 We are presenting a huge array of Cricket Wicket Pads that includes SS Aerolite Cricket Wicket Keeping Pads. 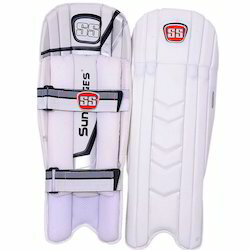 These pads are manufactured by our experts using the quality raw material as per the international quality standards. 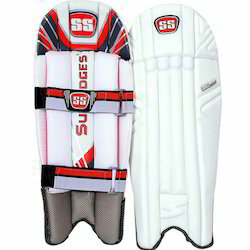 These are very popular among cricket industry. 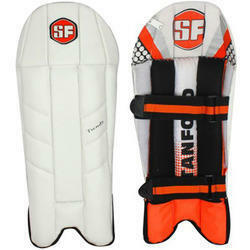 Further, these pads are available in various shapes and sizes as per the specification of our clients. 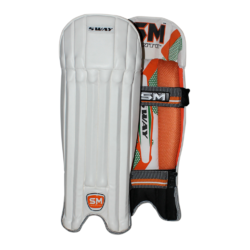 With the help of our high end manufacturing unit, we are designing and developing a wide range of SS Flexi Pro Cricket Wicket Keeping Pads. 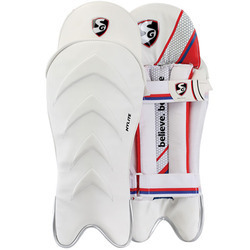 Our Wicket Keeping Gloves are designed by skilled artisans in different grades of leather and patterns from plain leather palm to ping pong palm. Made, using optimum quality leather, our Wicket Keeping Gloves are of the accurate shape of hands with web pockets that allow easy catching. * Made from premium quality imported PU facing. * Low density foam filled cane reinforced contruction for added protection. * High density foam filled top hat. * High density sponge filled bolster. * Three paneled top hat construction. Great fit with all day long comfort with outstanding cosmetics. 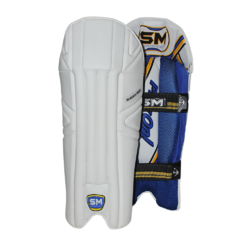 Looking for Cricket Wicket Keeping Pads ?